From bite-sized sessions to gaming formats, learning languages online has become a convenient, fun-filled exercise. Ashwani Gupta, an engineering graduate, held an edge over his peers at the time of campus recruitment. During his daily commute, Gupta used to learn German using an Android app called Duolingo and his language skill earned him a position with a leading German firm. In a connected, multicultural world, speaking a foreign language or two has a distinct advantage as we tend to travel more, work globally and often interact with overseas people. But is it really worth investing the time and the money? There is no need to trouble yourself as there are numerous smartphone apps and online tools that can translate speeches on the spot. On the other hand, global citizens have always found it rewarding "to know things", especially as languages connect people with cultures. Several apps on Apple and Android devices can help you learn any popular or exotic language - from German, French and Spanish to Japanese and Mandarin Chinese - and smart learners like Gupta are too keen to grab the opportunity. This has led to a boom in one-stop online language services across the globe, with the likes of Duolingo, Memrise, Rosetta Stone, Live Lingua, Speexx, Babbel, Busuu and many more changing how languages are learnt at individual and corporate skilling levels. At times, the rapidly spreading pop culture on YouTube also drives the growth. Take, for instance, the K-pop craze (Korean pop music and drama) and how it has attracted thousands of students in the US, Canada, Thailand and Malaysia. Investors, too, are quick to identify the new opportunity as the online language learning market is estimated to grow at a CAGR of 18.97 per cent during 2017-2021, according to market research firm Technavio. As per its report, most vendors initially focussed on converting traditional content into digital format. Now in the next stage of development, they are embedding analytics to ensure appropriate content and customised learning experience. It is, therefore, hardly surprising that the likes of Kleiner Perkins, Google Capital, Ashton Kutcher and Tim Ferriss have already invested in Duolingo (the company is valued at $700 million). 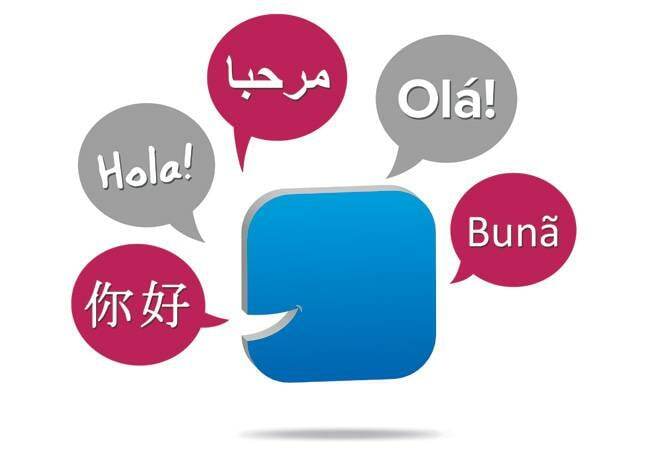 The Pittsburgh-headquartered start-up has built one of the most popular language-learning platforms based on a freemium model and serves up more than 70 courses in 31 languages to 200 million-plus global users via its app and website. Instead of traditional learning techniques, it offers 5-20 minute bite-sized learning sessions using graphics, voice and other tools. The company has designed language learning as a rewarding game, and at a later stage, a user can compete with friends, get points, level up and earn virtual currency to spend on bonus items while learning. You also get practice sessions and here the chatbot comes handy. For offline access to classes and an ad-free experience, pay a monthly subscription and opt for Duolingo Plus. London-based Memrise is another popular platform that can help you learn a whole bunch of languages such as Japanese, Spanish (Mexico), Korean, French, German, Chinese (simplified), Italian and more. Just register on the app and choose your level (beginner or skilled), and you will be good to go. While it teaches basic words and their pronunciations for free, the paid version (a discounted price of `395 for the first year) offers more features such as help from native speakers via video sessions, conversations with chatbots and understanding grammatical nuances. Memrise provides more than 150 courses across 25 languages and uses flashcards as memory aids. Incidentally, there are plenty of YouTube videos that teach language basics and also offer full courses. But these apps (and their websites) are more interactive and often press native speakers into service to help you. HelloTalk is one such platform that puts together global partners to ensure ease of learning. For instance, I selected English as my native language and wanted to learn Japanese. The app immediately fetched a list of users who are fluent in Japanese and currently learning English. When you connect, chat and exchange notes, your language skills are bound to improve. Tandem is a similar app that enables users to learn from and practise with people across the globe. The app requests you to create a profile and asks three basic questions to find the best 'language exchange partners' for you. It also gives an option to select the age group and the gender of the community members with whom you wish to interact. Finally, there is Busuu, a London-based firm that teaches languages via its app and also awards certificates from McGraw-Hill Education when you finish your course. It supports as many as 12 languages with courses ranging from beginner to advanced levels and focusses on vocabulary and conversation builders. Such conversation records are often reviewed and corrected by native speakers. The free version of the app only provides flashcards for learning but the subscription model, costing `275 a month, gives access to offline mode, grammar and vocabulary lessons and an official certificate. When I used it for learning Japanese, it came up with a list of popular Japanese phrases, their pronunciation details and special character phonetics. That is, indeed, very thorough and methodical when it comes to helping out beginners.